As I sit down to write this I am completely exhausted from watching the conclusion of the Kia Classic. It just doesn't get much more exciting than that. Beatriz Recari defeated I.K. Kim on the second hole of a playoff. The 18th hole at the Avira Golf Club is one of the best finishing holes in all of golf. Your drive is threatened by water all the way up the right side. If you miss your approach shot to the green to the right, there is a water hazard. Miss it to the left and getting it up and down is nearly impossible. Landing it on the green is no sure bet for par either, as the 2 tiered green led to 3 putts all day long. Both I.K. Kim and Beatriz Recari just needed to two putt for a win in regulation, but neither one could. On to 18 they went again for the first playoff hole. They hit the green in two, but they both 3 putted once again, and on they went to play 18 for a third straight time. I.K. then hit the green in regulation, and Beatrice almost went into the hazard on the right, leaving her with 4 feet of grass to putt through. I.K. putted first and just missed, leaving her with a tap in for par. Beatriz would now have to get down in two to keep play alive. Her putt then went through the four feet of grass and another 13 feet of green to land square in the center of the cup. For Beatriz, it was the second win of her young career. For Kim, who missed winning her first major championship last year when she missed a 14 inch putt, it was another devastating loss. For more on Beatriz's victory see the Constructivist's story over at Mostly Harmless, and read about her swing at Ruthless Golf. On to today's topic. Although the LPGA has only completed 5 of the 28 tournaments on the 2013 schedule, I don't think it is too early to see who the biggest surprises and biggest disappointments are so far this year. I will revisit this after the 15th tournament, and again at year's end. 1- Beatriz Recari - A rookie in 2010, she has gotten better every year. Beatriz had her best year in 2012, finishing #32 on the money list. With all the great talent on the LPGA tour, matching that in 2013 was going to be a challenge. Who could have expected this? She has three top 5 finishes already this year, which is only matched by Stacy Lewis. She is currently #2 on this year's money list, topped only by Lewis. 2- Lizette Salas - A year ago at this time most of us didn't have a clue who she was. We surely do know now. There was so much talk about So Yeon Ryu and Lexi Thompson joining the LPGA as rookies last year that nobody really noticed that Lizette finished third in the Rolex Rookie Rankings. In 5 starts this year, she has 3 top tens and four top twenty finishes. She is currently #8 on this year's money list. 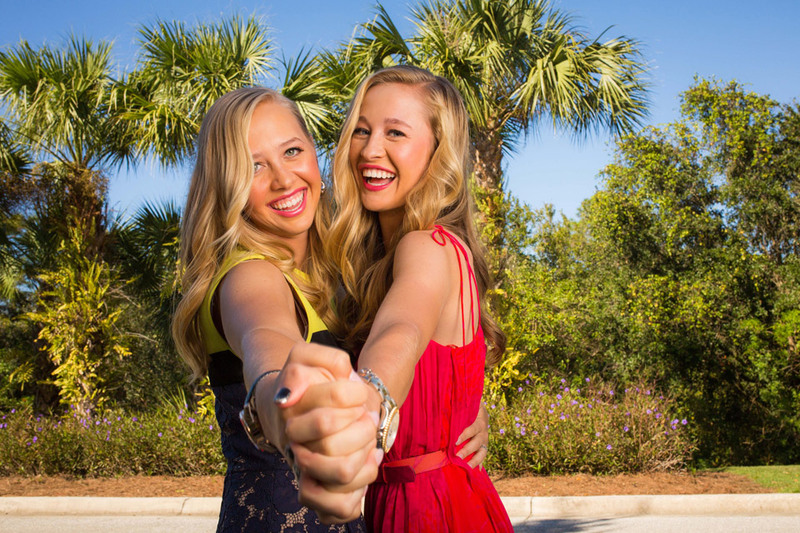 3- Jessica Korda - Always overshadowed as a teenager by Lexi Thompson, that is not the case anymore. Jessica shocked the world last year by winning the Australian Open, but then played mediocre golf for most of the rest of the year. This year, the now 20 year old, is off to a blazing start. In five starts she has 2 top ten finishes and four top twenties. Currently #11 on the money list, look for Jessica to be a top player for many years to come. 4- Gerina Piller - A rookie in 2010, and known then as Gerina Mendoza, she hardly made any noise at all her first two years on the tour. A good second half last year led her to a 48th place standing on the money list. I for one wondered if it was just a hot streak, or if she would continue that good play in 2013. I wonder no more. Gerina, one of the longest hitters on the tour, has already had two top ten finishes this year. In fact she has finished in the top 25 four times in 5 starts. Currently #19 on the money list, look for those massive drives to lead to a lot more cash. 5- Danielle Kang - I look at Danielle much in the same way I did Stacy Lewis 3 years ago. I see so much talent ready to just explode. A rookie last season, Danielle took advantage of limited opportunities and still managed to finish 52nd on the money list. This two time amateur champion is off to an even better start this year. She followed up her 19th place finish in Thailand with a top 5 finish in Singapore. At 20 years old she still needs a bit more experience, but I look for her to join the "elite" very soon. Honorable mentions go out to Nicole Castrale and Pornanong Phatlum. 1- Momoko Ueda - Just two short years ago, Momoko was one of the most consistent players on the LPGA tour. What has happened? Momoko went the entire 2012 season without a top ten finish. Still managing to finish #58 on the money list, it appeared she had to get better in 2013. That certainly has not been the case this year, as she has not finished higher than a tie for 52nd place. 2- Michelle Wie - At what point does she fall off this list not because she is playing better, but because our expectations of her are so low she is no longer a disappointment? Once one of the top players on the tour, Michelle hit rock bottom last year, or so we thought, finishing 64th on the money list. This year she has already missed 3 cuts. No LPGA player has missed more. She can't hit her drives straight, she is missing greens at an alarming pace, and her putting is hard to watch. Other than that she is doing fine. At 23 years old, it is time for Michelle to start controlling her own life before it is to late. Being loyal to people is admirable, but only to a certain point. A coaching change has to be made soon. I'm thinking that bringing on Butch Harmon could resurrect her career. 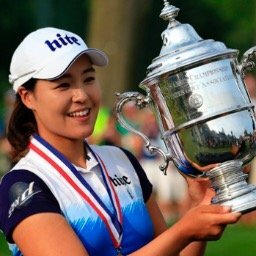 3- Chie Arimura - Asian players coming to the LPGA tour after being quite successful on their own tours, has been the formula practically every year for winning the Rolex Rookie of the Year Award. Jiyai Shin in 2009, Hee Kyung Seo in 2011, and So Yeon Ryu in 2012, are a few examples. 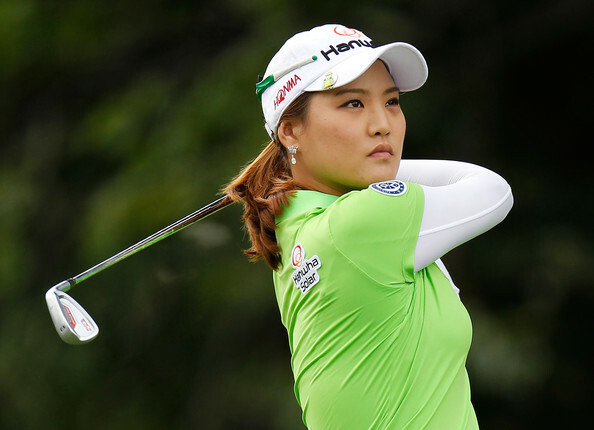 Chie came on to the LPGA this year as the the 20th ranked player in the entire world. Sure she would be the next Rookie of the Year winner. Not so fast. Her best finish so far is a tie for 28th. Maybe she will turn this around as there is still plenty of time, but I see some obvious problems with her game. 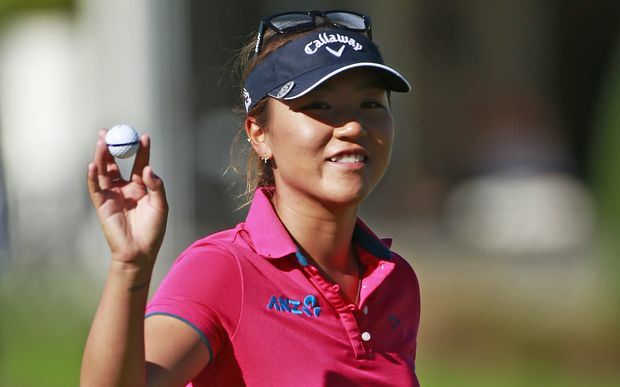 The LPGA is loaded with big hitters, and she is not one of them. In fact she is currently 116th in driving distance. Time will tell if she can overcome that big disadvantage. 4- Karin Sjodin - In her 7th season season on tour, Karin had a breakout season in 2012. That has not been the case this season. In 5 starts her best finish is a tie for 37th, and she has already missed 3 cuts. 5- Brittany Lang - Not normally a slow starter, Brittany has been quite awful this year. She has not finished better than 37th and has already missed 2 cuts. Dishonorable mentions: Sun Young Yoo, Julietta Granada, and Hee Young Park. I.K. Kim, Pornanong Phatlum, and Mo Martin are the latest to qualify. Not much action in the top ten this week as Paula Creamer enters at #10, and Stacy Lewis increases her hold on #1. Outside the top ten I.K. Kim jumps from #21 to #15, Beatriz Recari vaults from #45 to #26, Lizette Salas continues moving up the list with a move from #46 to #38, and Pornanong Phatlum leaps from #66 to #52. Just a reminder to all the new followers of this blog, at the top of this and every page are live scoreboards to all the major women's tours. Sort of a one stop shopping. Bookmark this page and you will be able to check all the scores of all the tours without changing sites. It is all here! Once again I find very little if anything to dispute with you. Most of all, I am very happy for Lizette and her father who is her rock out there. Had the opportunity to see them up close last season as they were staying in the same hotel as me for the CWO. Gracious, friendly and possessing a quiet, hopeful confidence I sensed that Lizette was indeed going to blossom on tour. The speed with which it has happened has impressed and pleased me. Yes, Prammanasudh has been very good indeed. She has 3 finiahes this year between #'s 18-25. Paula Creamer as well was right in the mix this week until the back nine.